Kurt Beecher Dammeier knows a lot about cheese. He better. His shop Beecher’s Handmade Cheese puts out close to two million pounds of it a year. He also makes one of the best mac and cheeses anywhere in America. 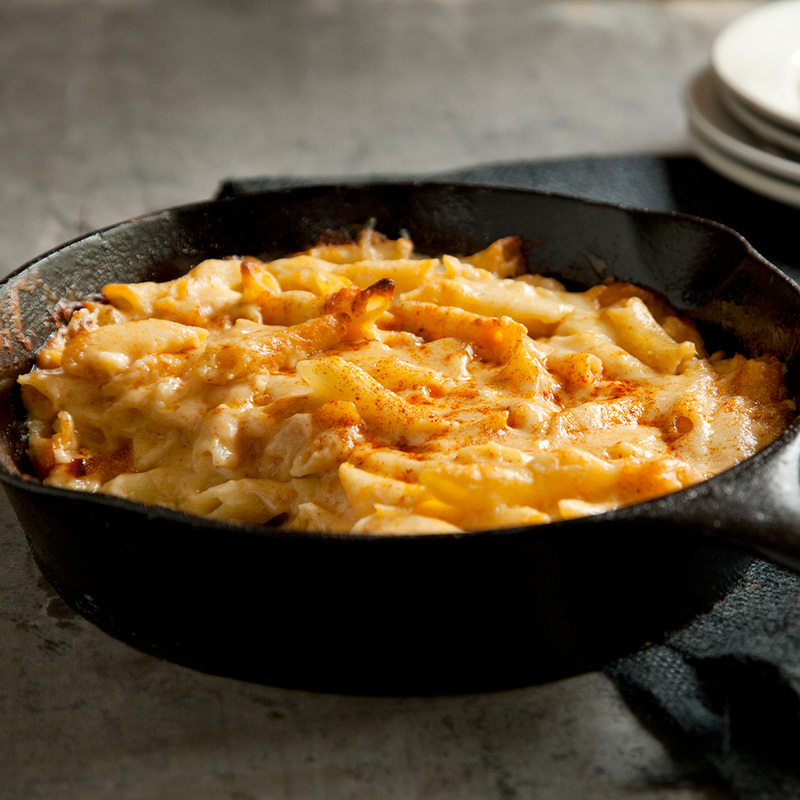 We caught up with him at his NYC shop, where he shared these tips for making the ultimate gooey comfort food. 1. Never add cheese over a flame. After you’ve made the béchamel that is going to be the base for your sauce, turn off the stove and remove the pot from the burner completely. Then mix in the cheese. This lets it melt in slowly and you’ll keep more flavor. 2. Undercook your pasta. A lot. Most recipes call for pasta to be cooked al dente. Kurt says you shouldn’t even let it get that far. By keeping your pasta firmer than you’d like, it will keep more structural integrity when you actually cook it in the sauce. No one wants a goopy blob of noodles. 3. Stay away from old cheeses. Aged cheeses are very flavorful, but they also won’t melt. If you use a cheddar that has been aged too much in the hopes of getting bigger flavors you risk having the cheese break your sauce. To that end, Kurt’s non-so-secret weapon is his own company's Flagship, a mix of cheddar and gruyere that is only 15 months old.